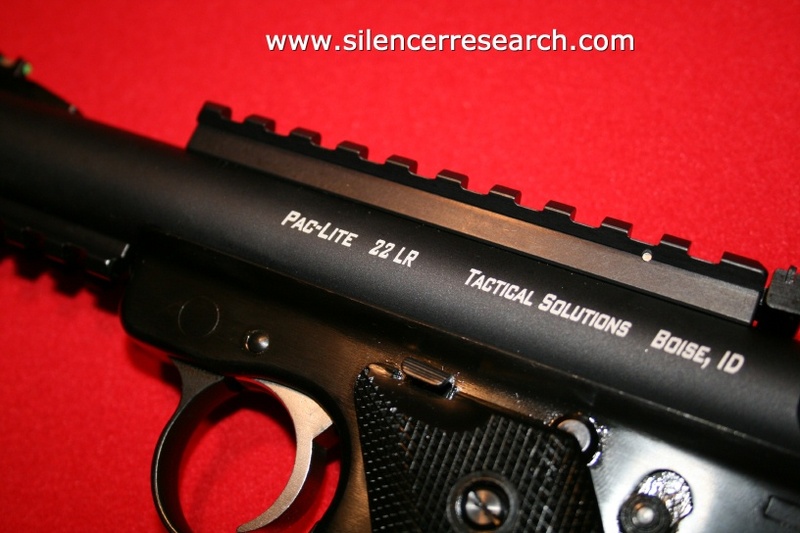 On September 15, 2007 I reviewed the Tactical Solutions Pac Lite. The Pac Lite is an aftermarket replacement receiver for the Ruger family of semi-automatic 22LR pistols. The receivers are all aluminum and are machined from a single piece of solid aircraft aluminum. They are very lightweight. The barrels are chrome-moly inserts. Mine is equipped with a integrated rail system that has its own sight. You can mount optics as well. It also has a high visibility fiber-optic front sight and a lower accessory rail for mounting a light or a laser. Here are some pictures. 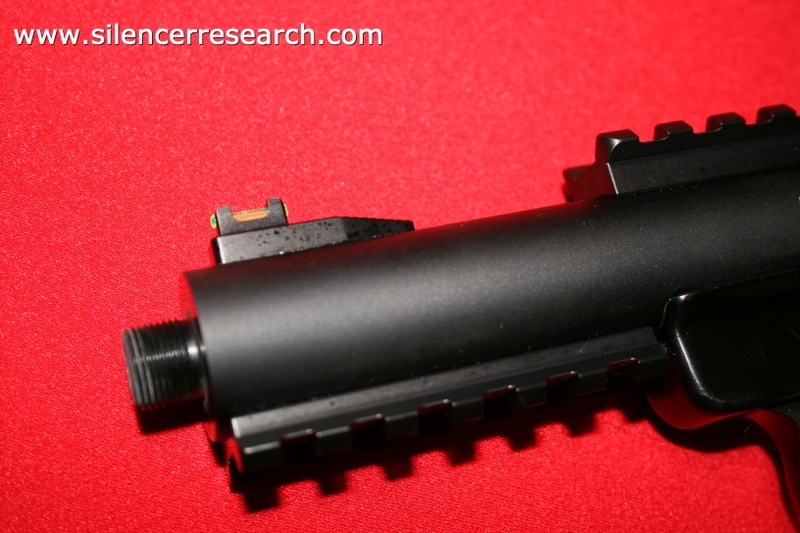 This particular Pac Lite is the 4.5 inch barrel version with the threaded end. The end is threaded in 1/2X28TPI. 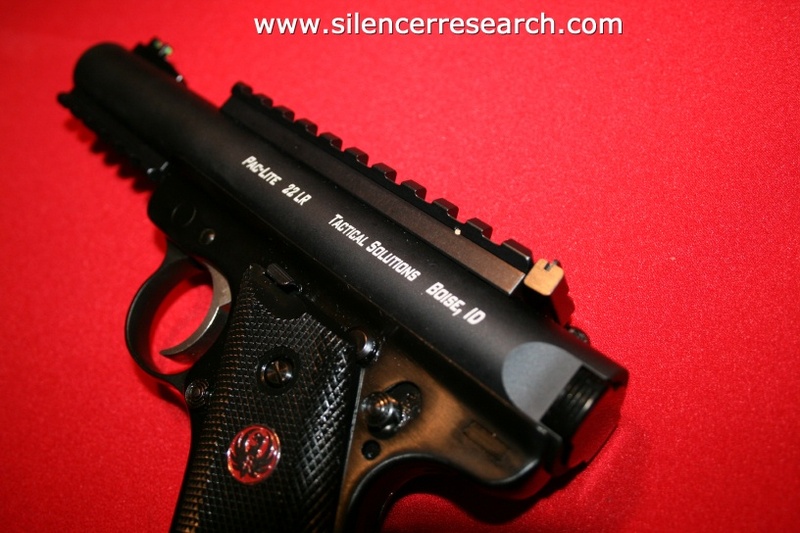 This is the common barrel threading for 22LR muzzle silencers commonly available in the USA. The upper is considered the receiver on the firearm and therefore must be transferred through a licensed FFL dealer in your state. Removing your existing upper receiver and replacing it with the Pac Lite is easy and can be accomplished in about 5 minutes. Retail price of the receiver is $285 for the pistol. The integrated rail, fiber-optic sight, and the lower accessory rail are extra. The weight of the Pac Lite upper as show is only 8.7 ounces. Compare that to the weight of a MKIII 22/45 with 5.5 bull barrel which weighs in at 18.4 ounces! For this review I compared two common Ruger semi-automatic pistol hosts, the MK III and the MKIII 22/45. The MKIII is the gun shown in the above pictures. The lower weighs 12.7 ounces while the MKIII 22/45 weighs only 5.5 ounces. The 22/45 uses a polymer lower, thus the reduced weight. Starting with a stock 4 inch tapered barrel MKIII, the factory weight is 33.3 ounces. When the Pac Lite is installed the weight drops to 29.9 ounces. 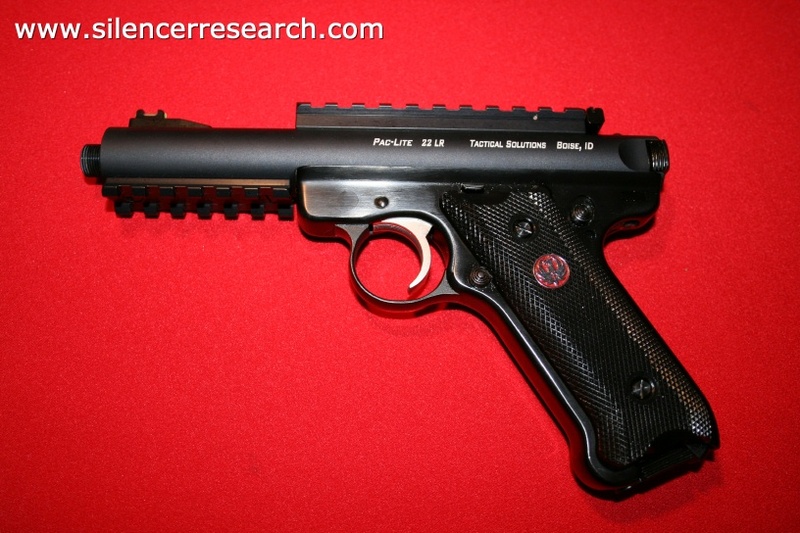 Starting with a stock 5.5 inch bull barreled MKIII 22/45, the factory weight is 32.5 ounces. Using the Pac Lite upper the weight drops to only 22.8 ounces. I like the feel and weight of the Pac Lite upper. Tactical Solutions makes a fine quality product at a reasonable price. 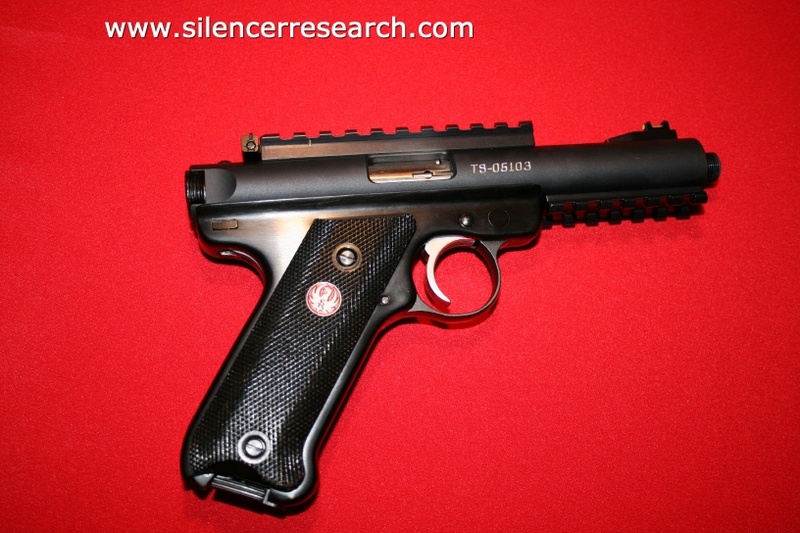 Coming from the factory pre-threaded makes this weapon a good choice for a suppressor host. In shooting the Ruger pistol with a silencer, I have noted slightly louder meter readings when compared to shooting other silenced pistols. I am performing additional testing on multiple silencer hosts in the near future to confirm my initial findings. Copyright Silencer Research LLC. No part of this article, its videos, or numbers may be posted or used elsewhere without the prior express written consent of the author.